After more than fifty years of trying to bring Cuba’s revolutionary government to heel, the United States finds itself isolated internationally by a policy of hostility toward Havana that is remarkable for its lack of success. Policy-makers from President Barack Obama down to mid-level foreign policy officials recognize the futility of Washington’s current stance and purportedly want to change it. The Cuban American community, once a bulwark against reconciliation with Cuba, now favors it, as does a majority of the U.S. public. Only a handful of recalcitrant members of Congress appear to stand in the way. In Havana, Raúl Castro is offering an olive branch to Washington while he pursues the most far-reaching reorganization of the Cuban economy since 1959. In short, a growing chorus of critics at home and abroad, inside and outside the U.S. government, is challenging traditional U.S. policy. Has the moment of change finally arrived? On February 10, the European Union’s foreign ministers agreed to begin negotiations with Cuba on a political and economic cooperation agreement to replace the 1996 Common Position that made normal relations contingent on democratic reforms. Adopted at a moment when the Cuban government was cracking down on dissent, the Common Position has hobbled the ability of Europe to engage constructively with Cuba because Havana regards it as an unacceptable interference in its internal affairs. As the process of economic change unleashed by Raúl Castro gathers force, Europe is set to remove this barrier to deeper involvement, thereby abandoning the last vestige of European cooperation with Washington’s policy of hostility and isolation. Latin America rejected U.S. policy toward Cuba a long time ago, and in recent years has welcomed Cuba back into the hemispheric community. In 2013, the Latin American states chose Cuba as president of the Community of Latin American and Caribbean States (CELAC), an exclusively Latin American international forum that excludes the United States and Canada. At the Sixth Summit of the America’s in Cartagena, Colombia, Latin American heads of state pilloried President Obama for insisting on Cuba’s exclusion. Even close U.S. allies like Colombian President Juan Manuel Santos made it clear that the future of the summit process was in doubt unless Washington agreed to accept Cuban participation, which Washington has yet to do. Around the world, Cuba has normalized its relations with everyone except the United States. Every year for the past 22 years the United Nations has voted overwhelmingly for a Cuban resolution demanding that the United States end the economic embargo. The most recent vote, in October 2013, was 188 to 2 (only Israel voted with the United States, even though Israel itself has normal commercial relations with the island). The lack of progress in U.S.-Cuban relations has not been for lack of Cuban attempts to move beyond the status quo. Since assuming power from Fidel in 2006, Raúl Castro has repeatedly offered olive branches to Washington. Shortly after Barack Obama was elected on a platform promising a new policy of engagement, Raúl declared that Cuba was ready to talk and willing to “negotiate everything”– everything, that is, except Cuba’s sovereign right to decide its own political and economic system (Castro 2009). To be sure that U.S. policymakers understood the offer was sincere and not just public relations, Castro sent the same message privately, through Spain. In August 2010, when Cuban Cardinal Jaime Ortega came to the United States, he conveyed a message from Raúl Castro. “He repeated to me on several occasions that he is ready to talk to the United States government directly, about every issue,” Ortega told U.S. officials (Diehl 2010). 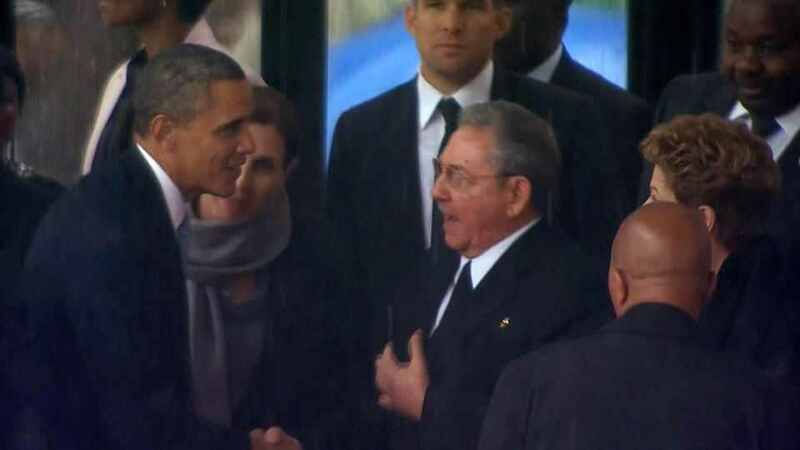 After the famous handshake between Castro and Obama at the memorial service for Nelson Mandela in South Africa last December, Raúl returned to the same theme. He expressed his hope that Cuba and the United States might “establish civilized relations,” and he reiterated his offer to open “a respectful dialogue” with Washington. “If we really want to make progress in bilateral relations,” he told Cuba’s National Assembly, “we must learn to mutually respect our differences and get used to coexisting peacefully.” (Castro 2013). Most recently, Cuban Foreign Minister Bruno Rodríguez expressed his hope that Washington might follow the European Union’s example by opening negotiations to improve relations (Trotta 2014). For his part, Barack Obama has repeatedly expressed his desire to improve bilateral relations as well. “We’ve been engaged in a failed policy with Cuba for the last 50 years, and we need to change it,” he declared during the 2008 presidential campaign (Obama 2007). 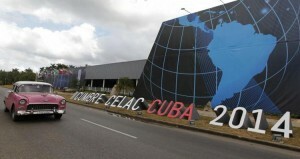 At the Fifth Summit of the Americas shortly after his inauguration, in response to calls for a change in U.S. policy, Obama told Latin America’s heads of state, “The United States seeks a new beginning with Cuba” (Obama 2009). During his first term, Obama expanded people-to-people programs significantly, not just reversing the restrictions placed on them by President George W. Bush in 2003 and 2004, but going beyond what President Bill Clinton put in place in 1998-1999. Obama lifted virtually all restrictions on Cuban American travel and remittances in 2009, and then expanded educational travel in 2011, restoring the broad people-to-people category that Bush had abolished. But the administration made very little headway in improving government-to-government ties with Cuba during the first term. Initial talks on immigration, postal service, counter-narcotics cooperation, joint medical assistance to Haiti, and Coast Guard search and rescue all seemed promising, but they stalled before reaching agreements. On the other side of the ledger, the new administration reconfirmed Cuba’s inclusion on the State Department’s list of state sponsors of terrorism, despite the lack of any credible evidence to support the designation. 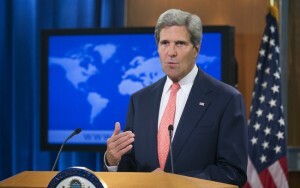 Obama also continued USAID‘s “democracy promotion” programs aimed at fostering a change in the Cuban regime. When the Cuban government jailed USAID subcontractor Alan Gross for subversion in December 2009, all forward movement in bilateral relations came to a halt and remained frozen for the rest of Obama’s first term. In the past year, however, there have been hints of a thaw. Working level U.S. diplomats have been given a “green light” to resume discussions with Havana on issues of mutual interest. The two sides quickly resolved most points of disagreement on a postal accord, a Coast Guard search and rescue accord, and an oil spill containment protocol – although the U.S. side was loathe to use the word “agreement” lest it stir up trouble in Congress. Officials in both governments confirm a change in tone and see in their counterparts a new openness to serious dialogue. Although Cuba was again listed as a state sponsor of terrorism in the State Department’s annual report last year, the rationale read more like a justification for removing Cuba from the list. Every reason cited for Cuba’s inclusion was followed by an explanation of how Cuban behavior had changed for the better (U.S. Department of State 2013). Rumors swirled in Washington that Obama had already made the decision to take Cuba off the list and was simply waiting for the opportune political moment. Senior U.S. officials are telling political allies that there is a real desire for change at the “highest levels” of the administration. Notably, both Secretary of State John Kerry and Secretary of Defense Chuck Hagel during their time as senators went on record supporting a major overhaul of U.S. policy. At a fundraising dinner in Miami in last November, the president himself acknowledged that important changes were underway in Cuba and expressed his frustration with the policy stalemate. “We have to be creative and we have to be thoughtful and we have to continue to update our policies,” he told his listeners. “Keep in mind that when [Fidel] Castro came to power I was just born, so the notion that the same policies that we put in place in 1961 would somehow still be as effective […] in the age of the internet, Google and world travel, doesn’t make sense” (Watts 2013). While the need for a new policy may be clear, the political path to getting there is a bit trickier. Historically, domestic U.S. politics has been a formidable obstacle to policy change. A small, vocal, and determined group of Cuban Americans in the battleground state of Florida wielded enormous power over policy toward Cuba because they could swing presidential elections. But the politics of Miami have been slowly changing and with them, the political calculus surrounding Cuba policy. Polling by Florida International University since 1991 has chronicled evolving attitudes in the Cuban American community (Cuba Research Institute 2011). When FIU began polling Cuban Americans in south Florida in 1991, 87% favored continuation of the U.S. embargo. By 2011, support had fallen to 56%, and a majority no longer believed it was effective. In 1993, 75% of respondents opposed the sale of food to Cuba and 50% opposed the sale of medicine. By 2011, solid majorities (65% and 75% respectively) supported both. In 1991, 55% opposed unrestricted travel to Cuba, whereas in 2011, 57% supported unrestricted travel for all Americans and 66% supported unrestricted travel for Cuban Americans. These changes in Cuban American opinion were clearly linked to demographic changes in the community. Exiles who arrived in the United States in the 1960s and 1970s came as political refugees, motivated principally by their opposition to the socialist direction of the revolution. Those who arrived during the Mariel exodus in 1980 and afterwards were more likely to have left for economic reasons. Recent arrivals, especially those who arrived in the post-Cold War era, are far more likely to have maintained ties with family on the island. A 2007 FIU poll of Cuban Americans in south Florida found that 58.3% were sending remittances to Cuba. But the generational difference was stark: fewer than half of those who arrived before 1985 were sending money, whereas three quarters of more recent arrivals were. The differences in age and experience among different waves of migrants produced sharply different opinions about relations with the island, with more recent arrivals being far more likely to favor policies that reduce bilateral tensions and barriers to family linkages, especially the ability to travel and send remittances (Cuba Research Institute 2011). Although these attitudinal differences have been clear for some time, until recently they had not manifested themselves in voting behavior, principally because a far higher proportion of the early arrivals have obtained U.S. citizenship, and thus still comprise a larger share of the Cuban American electorate than more recent arrivals (although by 2010, Cuban Americans born in the United States were the largest voting bloc, comprising almost half the Cuban American electorate) (LeoGrande 2012). In addition, earlier arrivals are far more likely to be registered to vote than more recent arrivals. Registration rates for those who arrived before 1985 are over 90%, whereas for post-cold war arrivals who are citizens, the rate is only 60% (Cuba Research Institute 2011). But, of course, the early wave of exiles is becoming a smaller and smaller proportion of the community as new immigrants arrive every year and as natural mortality takes its toll on the aging exiles. And with the passage of time, more and more of the post-1980 immigrants obtain citizenship and begin to vote. In addition to generational differences, an important reason for the gradual change in Cuban American opinion has been the deepening ties between Cuban Americans and their families on the island. During the 1960s and early 1970s, it was difficult if not impossible for families to maintain contact across the Florida Strait. Travel to Cuba was prohibited by the U.S. embargo, and the Cuban government would not allow “gusanos” (worms) to return to visit. Direct mail service was cut off, and telephone connections were notoriously poor. Moreover, the prevailing opinion in both communities was one of hostility. To Cubans who left, those who stayed behind were communists. To Cubans who stayed behind, those who left were traitors (Eckstein 2009, pp. 128-135). The end of the cold war opened new opportunities for the two communities to re-connect. The collapse of European communism plunged Cuba into deep economic crisis. From 1989 to 1993, Cuba’s GDP fell by at least 35% (Pérez-López 1998). The suffering endured by ordinary Cubans during this crisis prompted a significant humanitarian response from Cuban Americans. Remittances began to climb, from $150-200 million annually in 1990 to some $500 million by 1995 (LeoGrande 2012). In 2004, President George W. Bush imposed tough new restrictions on Cuban American travel and remittances, hoping to reduce the stream of hard currency flowing into the island. President Obama lifted those restrictions in April 2009, and since then, Cuban Americans have been able to travel to visit family under a general license and send unlimited remittances. As a result, family visits increased from fewer than 50,000 in 2004 to almost 400,000 in 2011. Remittances jumped from an estimated $1.4 billion in 2008 to $2.6 billion in 2012, with an equal amount being sent as gifts (Higgins 2011; Morales and Scarpaci 2013). When Cuban Americans in south Florida were polled in 2011 about Florida Republican Congressman Mario Diaz-Balart’s proposed legislation to rollback Obama’s policy, thereby curtailing travel and remittances, opposition was overwhelming: 61% of all respondents were opposed, and 76% of those who arrived in the United States after 1994 (Cuba Research Institute 2011). The changing attitudes of the Cuban American community first manifested themselves in electoral behavior in the 2008 presidential election. Conventional wisdom among Democratic political operatives had been that a presidential candidate needed to win 30% of the Cuban American vote to carry Florida. Before 2008, the only Democrat since 1980 to meet that threshold and carry the state was Bill Clinton in 1996 (35% of the Cuban American vote). Clinton’s success in 1996 after signing the Helms-Burton legislation tightening the embargo, convinced Democrats that a tough policy toward Cuba was the right electoral strategy. If a Democratic candidate was just as bellicose as his Republican opponent, a significant number of Cuban Americans would vote based on other issues– issues on which their policy preferences tended to be closer to those of other Latinos, and to Democrats. In 2008, Hillary Clinton and John McCain followed the tried and true path of lambasting Cuba to appeal to conservative Cuban American voters, but Obama adopted an alternative strategy. He sought to cut into the Republicans’ traditional electoral advantage by winning over the expanding moderate segment of the community. He promised to end restrictions on Cuban American remittances and family travel, and he promised to engage with Cuba. Advocating engagement proved to be a winning strategy. By carrying Florida in 2008 with 35% of the Cuban American vote, Obama proved that a Democrat could take a moderate stance on Cuba and still make inroads with this solidly Republican constituency. The results of the 2012 election were even more striking. Despite Mitt Romney’s efforts to appeal to the exile community’s traditional anti-communism, Obama won almost half the Cuban American vote in Florida. Two statewide exit polls showed Obama winning the Cuban American vote, 49% to Romney’s 47% (Edison Research National Election Pool cited in Caputo 2012), or losing it narrowly, 48% to Romney’s 52% (Bendixen & Amandi International 2012). No Democrat had ever done so well. Obama’s success in 2012 proved that the 2008 result was not just an anomaly. Having defied conventional wisdom that only a “get tough on Cuba” platform would sell in south Florida, Obama changed the domestic political dynamics of the issue, making new thinking about Cuba politically feasible. A new bipartisan opinion poll released last month (conducted by a team of Republican and Democratic pollsters and sponsored by the Atlantic Council) found broad national support for normalizing relations with Cuba, with 56% of the public in favor. Majorities of Democrats, independents, and even Republicans agreed. The new poll’s most striking finding is that there is even greater support for change in Florida, where 63% of respondents favor normalization. The poll also asked about specific U.S. policy options, such as allowing U.S. companies to do business in Cuba, removing all restrictions on travel, negotiating cooperation to fight drug trafficking, and taking Cuba off the terrorism list. Majorities both nationally and in Florida supported every option, often by more than 60% (Atlantic Council 2014). Even some of the most well-respected members of the Cuban American elite have concluded that it is time for a change. In February, the Washington Post featured a profile of sugar baron Alfonso Fanjul, who has been traveling to Cuba recently. He expressed his hope that future developments might allow him to reestablish the family business there. (Wallsten et al. 2014). Politicians have begun to take note of these changing attitudes. In early February, former Republican Governor of Florida Charlie Crist, now a Democrat running to return to the governor’s mansion, declared that the embargo does more harm than good and ought to be lifted– a reversal of his prior support for it (Sherman 2014). For the first time in a generation, the political stars seem to be aligned in favor of a change in U.S. policy. The president does not have to worry about reelection. Many Cuban American voters, including key members of Miami’s business elite, seem willing to accept new initiatives. If the president and his senior foreign policy team recognize that the current policy doesn’t work and the principal political obstacles to changing it are melting away, why hasn’t there been greater movement? Part of the answer is the practical politics of Capitol Hill, rather than the electoral politics of Florida. New Jersey Senator Robert Menendez, the senior Cuban American Democrat in Congress, is adamantly against any relaxation of relations with Cuba and has bitterly denounced even the limited changes Obama has undertaken thus far. As chair of the Senate Foreign Relations Committee, Menendez is in a position to make life miserable for the White House by holding up ambassadorial nominees over Cuba policy, leverage that he has already demonstrated he will use. The other problem is the continuing imprisonment of Alan Gross. From the moment of his arrest in December 2009, administration officials insisted that Gross did nothing wrong and demanded that he be released unconditionally. Cuban officials have linked Gross’s release to some parallel humanitarian action by Washington on the case of Cuban Five– five Cuban intelligence agents imprisoned in the United States since 1998. The administration has offered Cuba other incentives to release Gross, but so far the White House refuses to consider release of the three remaining Cuban prisoners (two have already completed their sentences). The Gross case thus remains stalemated. By insisting on Gross’s innocence and dismissing the fact that he violated Cuban law, the administration has made it politically harder to broker a deal with Havana to win his release. The U.S. position insults Cuban sovereignty and gives fuel to conservative charges that Gross is a hostage and the administration should make no concessions whatsoever to free him. Nevertheless, there may be opportunities for some movement. Since last year, U.S. and Cuban officials appear to be genuinely discussing the Gross case rather than simply repeating the same old inflexible demands. To give the administration some political breathing room, 66 Senators signed a letter to President Obama calling on him to make the Gross case “a humanitarian priority” and “take whatever steps are in the national interest to obtain his release.” (Leahy et al. 2013). Senators Menendez and Marco Rubio (R-Fla.) were only able to gather 14 signatures on an opposing letter urging the president to continue demanding Gross’s “immediate and unconditional release” (Menendez et al. 2013). If trading the three remaining Cuban spies for Alan Gross is too politically unpalatable for the White House to swallow, it could trade them for several Cubans imprisoned on the island as U.S. spies (Tamayo 2014). That would clear the way for Gross’s release on humanitarian grounds, perhaps as part of a wider package of agreements on humanitarian issues like postal service, Coast Guard search and rescue, and immigration. An unexpected push from the private sector may finally force the White House to take the initiative on relations with Cuba. As of February 14, the Cuban diplomatic mission in Washington can no longer provide consular services for the 500,000 U.S. residents who travel to Cuba annually. Despite entreaties from the State Department, no U.S. bank is willing to handle Cuban financial accounts because the onerous reporting requirements for transactions with Cuba make the business unprofitable. The strict financial compliance regulations stem from Cuba’s inclusion on the State Department’s list of state sponsors of terrorism– a Cold War anachronism unjustified by any evidence. Ironically, the administration’s lack of political courage to take Cuba off the terrorist list is now crippling the main achievement of Obama’s Cuba policy– expanding people-to-people travel and cultural exchange. Action by the White House on the terrorism list and Alan Gross would break the policy logjam that has prevented President Obama from fulfilling his promise to open a new chapter in U.S.-Cuban relations. If President Obama can summon the courage to take bold steps to forge a new relationship unconstrained by the animosities of the past, he could secure a place in history as the president who finally solved the riddle of Cuba. Europe and Latin America would applaud it, most of the American public would support it, and even most Cuban Americans would welcome the new opportunity to re-engage with their patria.